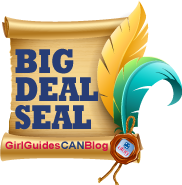 Update: This post was voted a 2012/2013 GirlGuidesCANblog Big Deal Seal winner in the Camping/Outdoors & Global Guiding category! Bravo blogger Elizabeth! Our district went to a winter camp a couple of weekends ago and quite a few Guides from my unit were in attendance. As leaders, we worried a bit about the extremely cold weather we had been having recently. And so, the meeting before we went we decide to run an activity I remembered doing as a girl. I figured that if it had stuck with me for that long, maybe it would stick with the girls as well. We split our unit into three groups and gave each one three pieces of clothing. One group got socks, another tops and the last, pants. We set-up the activity so that the clothes they were given were made from different materials including cotton, fleece, wool and nylon. The girls got to dip each garment in water and see how it fared. They came to many interesting conclusions such as the fact that fuzzy socks are nice and warm when dry, but get wet faster and stay wet longer than their typically unrecommended cotton counterparts and that sweat pants may seem warm, but they are usually made of cotton and stay wet for a long time. They were also able to convince themselves through demonstration that fleece, wool and other synthetic materials would be the best ones to bring to camp. My favourite comment of the evening came as the last team – the pants one – shared their findings with the unit: “We decided that these nylon pants would be best for the summer and that the fleece ones would be nice and warm for the winter,” they told us. “But these jeans, they’d be good for nothing!” That’s when we knew the message had gotten through! By Guider Elizabeth, 85th Montreal Guides. 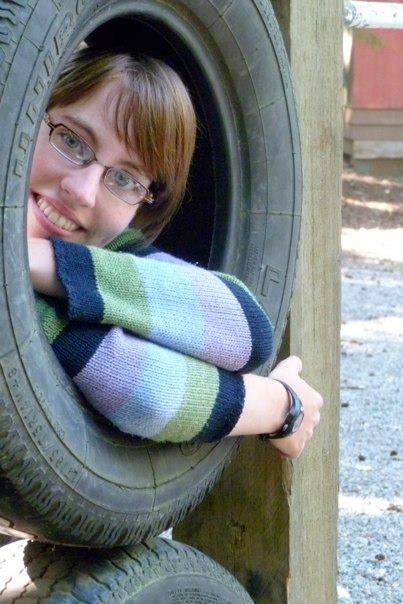 Elizabeth has been a Guider for five years, both in Guelph, Ontario and Montreal, Quebec. Meeting night is her favourite time of the week because she never laughs as hard as with the girls. 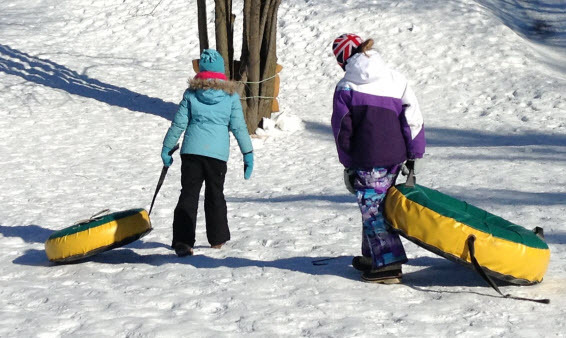 Read some of Elizabeth’s previous posts on GirlGuidesCANBlog: Mother-Daughter Guiding, and Camp Food: Not Just for Camp. Have you taken action for our National Service Project: Operation Earth Action? Don’t forget to log your actions and send us your photos. We want to collect them for a video compilation of Unit activities from across Canada! This entry was posted in Camping & Outdoors and tagged camping, outdoor. Bookmark the permalink. 2 Responses to What Are Jeans Good For? We were so excited to see such an amazing article posted on the Girl Guides of Canada’s national blog page from our one and only Guider Elizabeth K.’s from the 85th Montreal Guides! Thanks Lizzy for a great entry and for introducing us to a great activity to do in preparation for winter camps. Reblogged this on and commented:We were so eixetcd to see such an amazing article posted on the Girl Guides of Canada’s national blog page from our one and only Guider Elizabeth K.’s from the 85th Montreal Guides! Thanks Lizzy for a great entry and for introducing us to a great activity to do in preparation for winter camps.